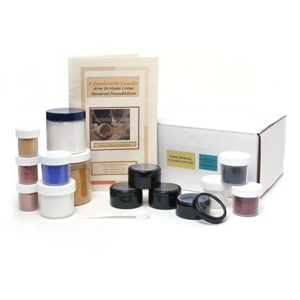 These comprehensive, user friendly kits teach handcrafters how to create mineral makeup foundation by using pure, crushed minerals. 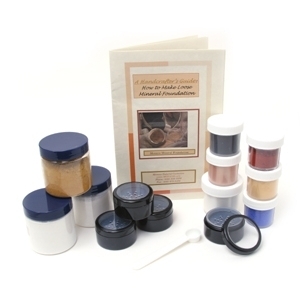 The 16-page manual includes four sample formulas from light to dark, detailed instructions and suggestions for creating new shades, and explanations of the various minerals and their properties. The manual also offers brief instruction in the area of differentiating skin undertones, and the development of shades to match varying tones. These kits are the original making makeup kits and stand by the time tested ingredients that are healthy and non-allergenic. 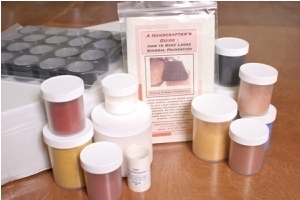 Product support provided by the masterful formulators at Monave for handcrafters, and business owners. Jars and labels complete the package. These kits are perfect for the curious makeup artist or do-it-yourselfer who wants to find out how it’s done.